Small custom chocolate delights gift box. 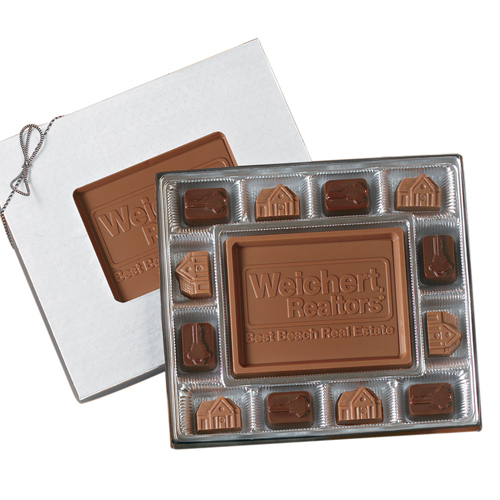 12 themed chocolate pieces surrounding a creamy milk or dark chocolate centerpiece. Select up to 2 themed chocolate pieces in milk and dark chocolate. • Options: Choice of 2 (1 Milk & 1 Dark) Industry Themed Minis listed under options. • Packaging: Choose Gold or Silver Gift Box.